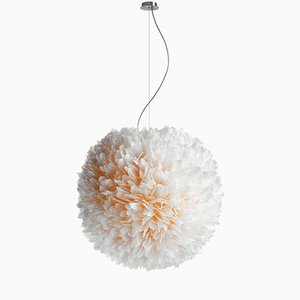 Pluma Cubic is a niche design studio that specializes in stunning light objects and lamps. 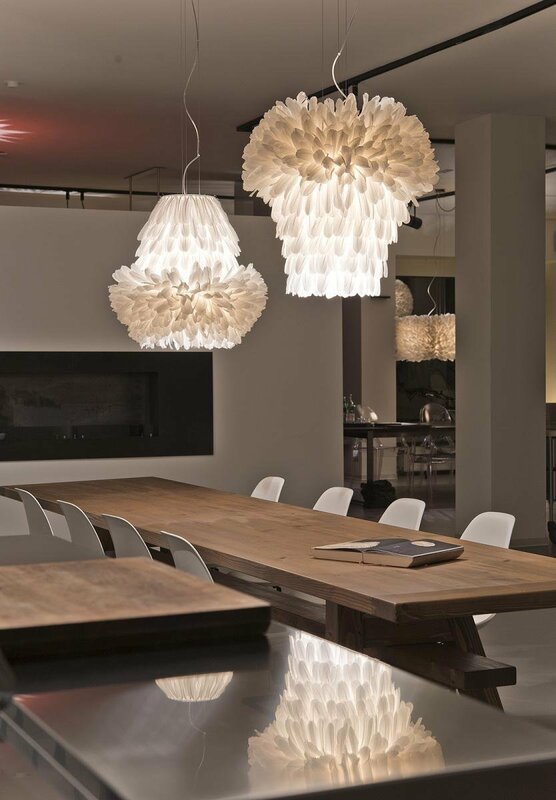 The Berlin-based brand was founded in 2005 by German architect-designer Heike Buchfelder. 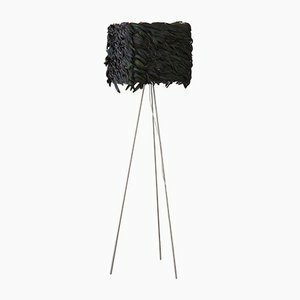 Born in West Berlin, Buchfelder studied at the prestigious Berlin University of Arts and Oslo University of Architecture and Design, graduating with a Diploma of Architecture in 1999. 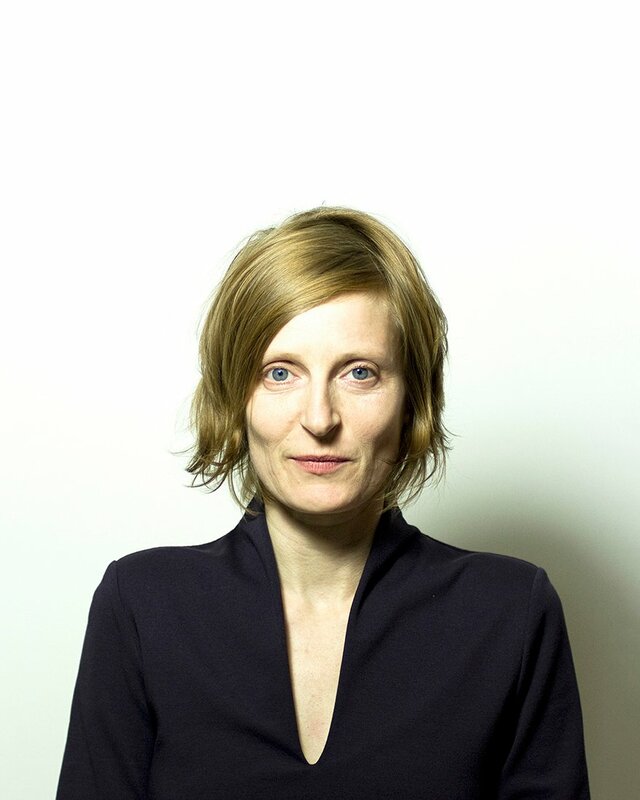 She worked for a number of years for architectural agencies Gabriele Kiefer and Abcarius + Burns in Berlin, before branching out in 2004 to establish herself as an independent freelance designer. 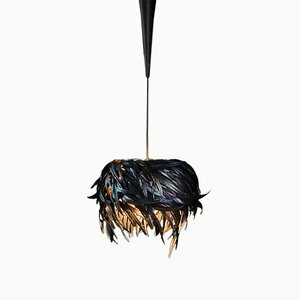 Pluma Cubic is a brand centered around one consuming passion: the exploration of a material that Buchfelder calls “a sort of small phenomenon”—feathers. 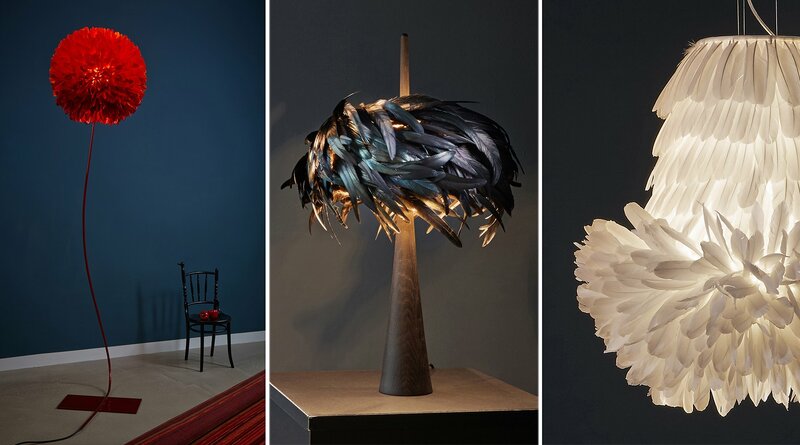 The voluptuous collections of standing lamps, ceiling lamps, and sculptural light objects coming out of Pluma Cubic’s studio are unique, handmade creations using carefully selected long goose quill and naturally colored rooster feathers. 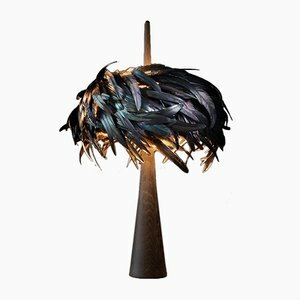 Each of the 2,000 to 4,000 feathers on any given piece are attached by hand to a fabric-covered steel lampshade by the studio’s dedicated craftspeople, achieving a quality that guarantees an astounding longevity as well as an arrestingly original aesthetic. 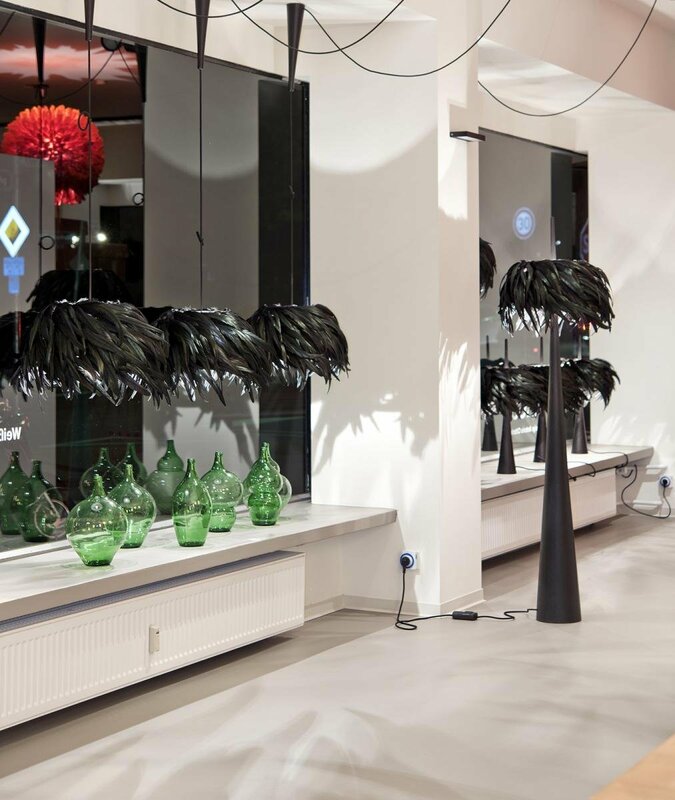 Pieces from the Pluma Cubic collections can be found in many private homes and spaces, and most recently at the Lufthansa VIP lounge at Munich airport. As well they have been exhibited at the Marta-Herford Museum for Art, Architecture, Design in Germany, the Metropolitan Design Center in Buenos Aires, Argentina. 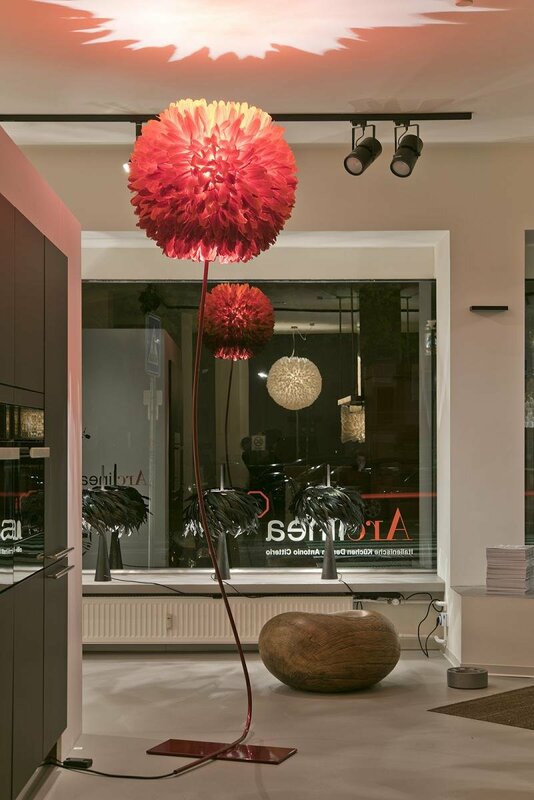 The brand has established its reputation for quality workmanship and design excellence through numerous international exhibitions and presentations including at the Salone del Mobile at the Euroluce, Milan in 2015; Design Festival Berlin in 2013 and 2012; Seoul Design Fair, South Korea in 2010; and Tokyo Designers Week, Japan in 2007.